Just as with anything, time can wear away even the best home heating system. Your heating system becomes less and less efficient with time because it accumulates dust and dirt. That build up can cost you money with increased usage (higher utility bills) and impending repair bills. Routine maintenance of your heating system can save you thousands of money in unplanned repairs and replacements. That’s why it’s important to go with the Best when it comes to heating system tune-ups. Are your utility bills reasonable for the last season? Are there any areas that are cooler or warmer than others in your home? Is there anyone in your family suffering from allergies? Have there been any unusual noises or occurrences since the last service? When you turn on your heating system, you want it to be able to deliver exactly the temperature you want—all day long. If your system isn’t running properly, it may be working too hard, resulting in inconsistent air temperatures and reduced comfort. Your technician will check the thermostat, indoor unit, outdoor unit and the duct system as part of a routine tune-up. Are there new batteries in your thermostat? Is the thermostat working properly? Are there any Freon leaks? How is the condition of the ductwork, coil, outside disconnect, primary and secondary drains, blower cabinet, etc.? What’s the condition of the circuit board? How clean is the ductwork? What about the inside of the comfort system? Is the unit level and clear of obstructions? Is the flue properly installed and working properly? 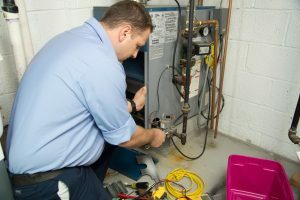 Routine maintenance on your heating system can also save you money, because we will work to find issues before they occur. We know how inconvenient, and uncomfortable, it can be when the heat goes out on the coldest day of the year. With a heating system tune-up from Best, we’ll work hard to make sure that doesn’t happen—with our 100% satisfaction guarantee. Call Best Heating & Cooling today and schedule your furnace or heating system tune-up, and make sure your family stays comfortable all winter long.